Burns both fat and sugar and slows the release of sugar into the bloodstream for weight loss benefits - Made in the USA, manufactured in a FDA-registered food supplement facility to GMP standards. Pure Green Coffee Bean extract (NOT diluted with generic Green Coffee extracts) - Highest potency and very bio-available. 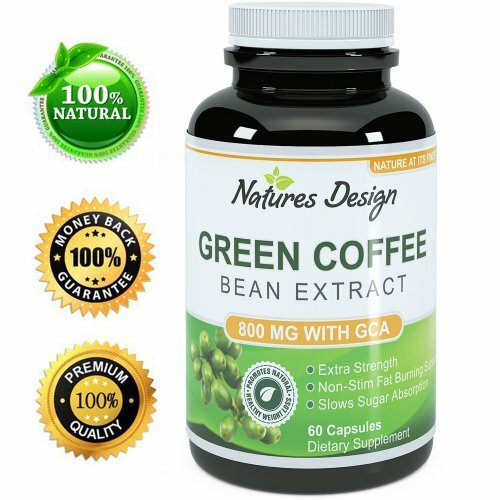 Clinically proven GCA Green Coffee Bean Extract, standardized to 50% Chlorogenic Acids - formulated without any fillers, binders, or artificial ingredients.